Ahh….cold, flu and allergies…..so much fun! Our house is ready to knock out those pesky germs when they come knocking on our door. We try to be as natural as possible when it comes to everything we ingest and have been living our lives like this for over five years now. In those five years, we have had to be on prescription medications occasionally, but much less than ever before. So, we know we are onto something…….. In order to make our natural cold, flu and allergy remedies most effective, we take them at onset. That being the moment we feel something coming on. And then we keep taking them regularly until we feel better. Please note: Please check with your healthcare provider and do your research before trying out any new vitamins/remedies (especially due to possible current medication interactions) as each human has different healthcare needs! 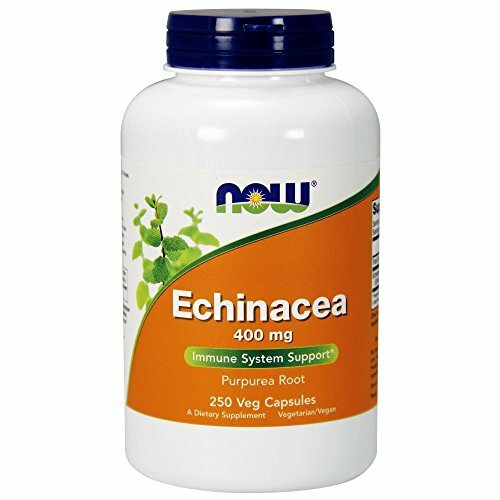 Echinacea: We take this for seasonal allergy symptoms. 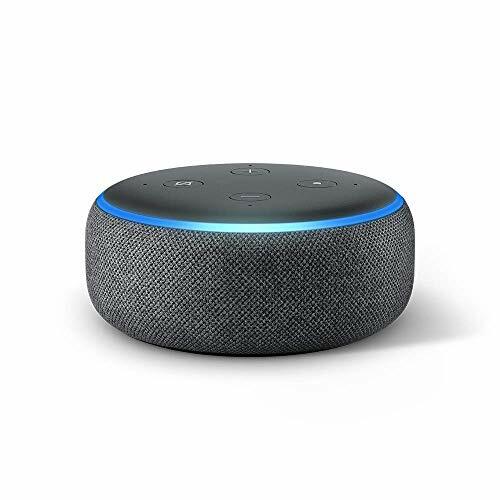 We prefer NOW brand. We follow the dosage on the bottle. 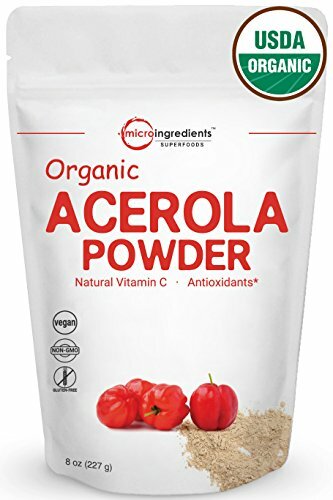 Acerola: We take this when everyone around us is starting to cough and sneeze and come down with a multitude of sinus ear infections, or the flu. 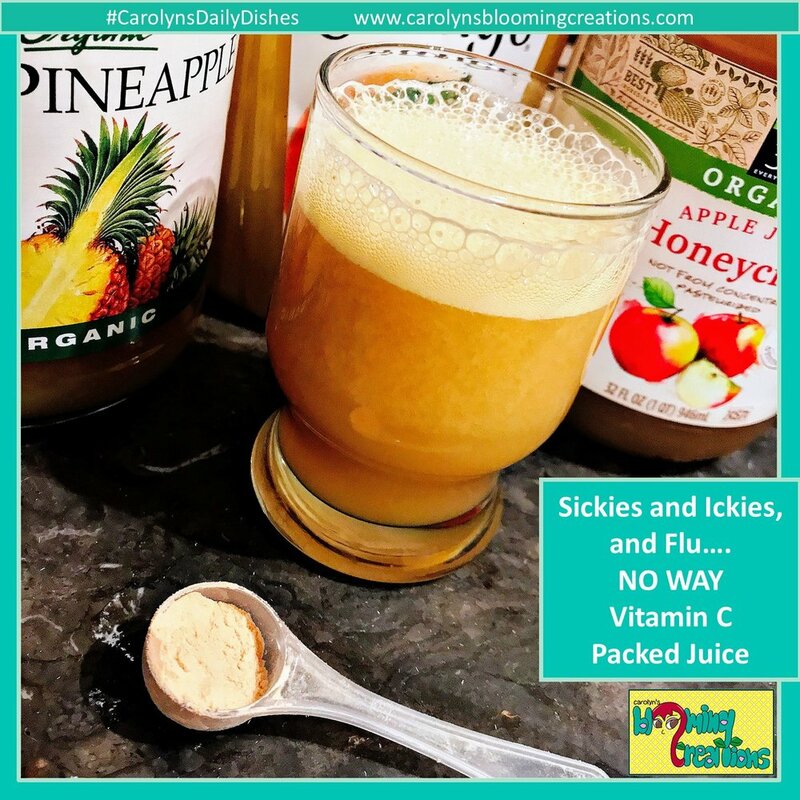 You can take it orally via a capsule, but we like to ingest this in Carolyn’s recipe for Sickies and Ickies and Flu, NO WAY Vitamin C Packed Juice. 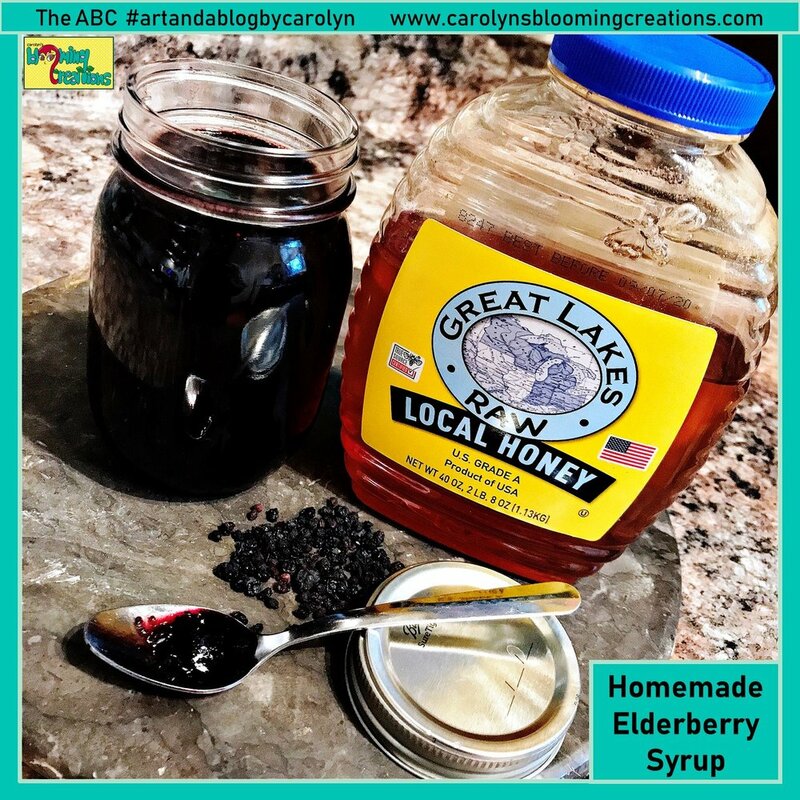 Elderberry Syrup: We take this when our allergies flare up, during cold and flu season and more. It’s also PET FRIENDLY! We alternate between this and Echinacea, and sometimes take both when we really don’t feel well. 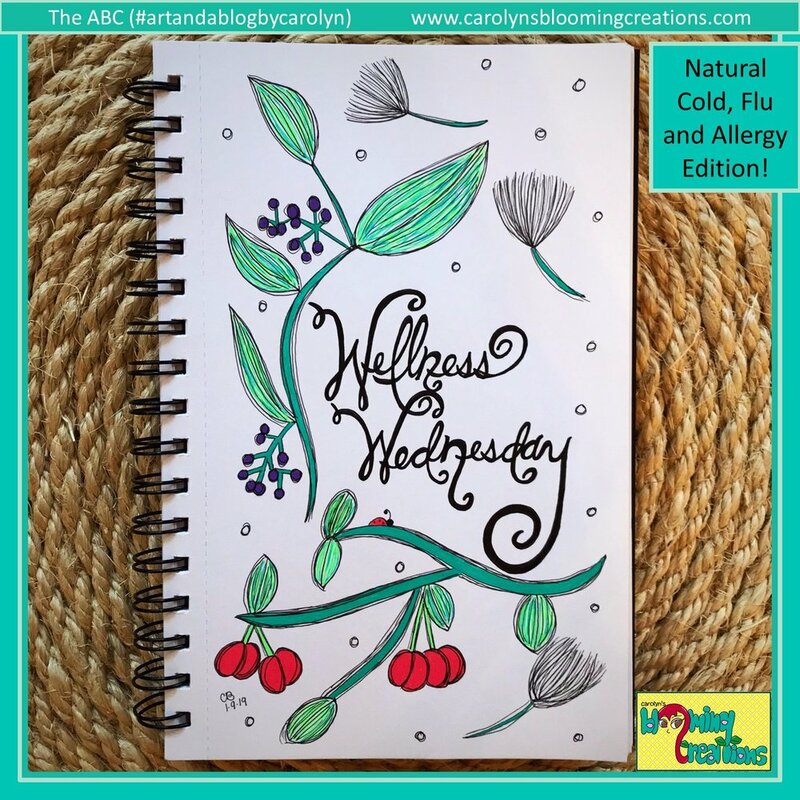 You can make it yourself via Wellness Mama’s recipe, OR order some from the wonderful Tracy, owner of Coastal Sol. Her Etsy shop is full of awesome products! Being a licensed esthetician, Reiki Master and more, she knows all things BODY and SOUL! She helped me through a very difficult time in my life with her beautiful energy, which inspired me to get Reiki certified. I HIGHLY recommend taking a peek at her shop via this link! We also love her Magical Calendula Healing Salve. 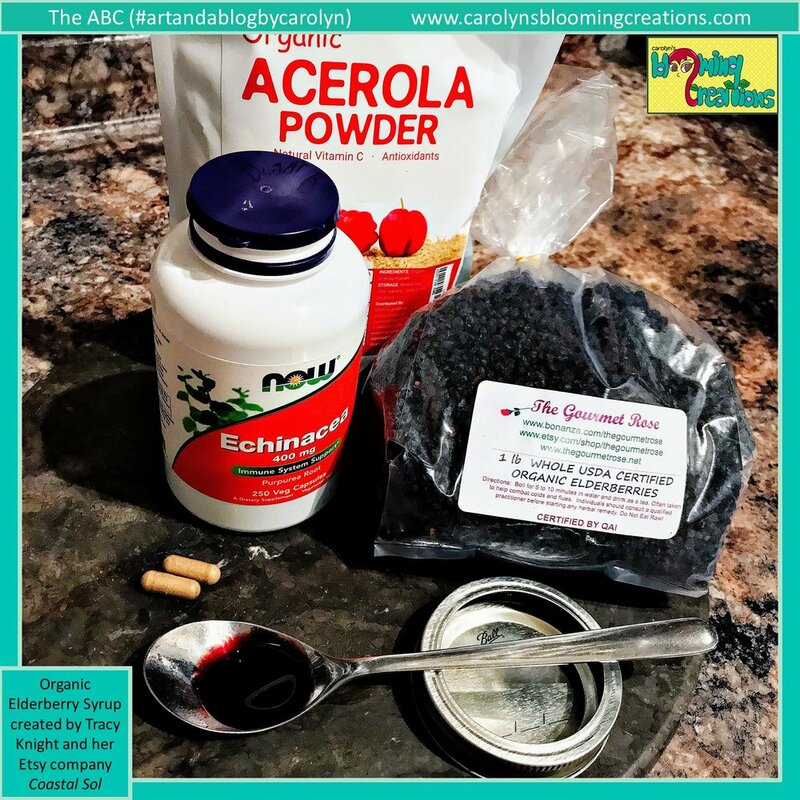 I made my own Elderberry Syrup using Wellness Mama’s recipe! Food preparation, styling and photography by Carolyn J. Braden. Click the image for the recipe! Visit us anytime on any of our social media sites! We love our fans! Contact us via the form below with specific questions, feedback or just to say hello!